WordPress is the most popular open source CMS, more than 26% of all websites are built on WordPress (W3techs). And as it is normal for popular CMS there are numerous free plugins that you can safely use and can help you to build better website and can solve almost any problem you have without need to hire a programmer or change code by yourself. In this post I want to present 5 free plugins for WordPress which you need on almost every site you build, especially this plugins are very helpful for niche sites. Enough talking, let me show you which plugins I use almost every single time I install WordPress. Did you build your site on expired domain? Or you have problem with 404 sites because of some backlink which is very powerful but it is linked to non-existing page? Look no more and install Redirection plugin which is easy and simple to use. It has numerous options like 404 error monitoring, auto 301 redirections and many more. It is especially helpful when you need to do 301 redirect without touching .htaccess file. Another simple and easy to use plugin which will benefit your SEO and is very helpful as it alerts you when you have missing images or broken links on your website. Broken links can harm your website ranking positions and also discredit your WP site in the eyes of visitors. And it is free! Do you need to say something to your visitors and it needs to be very visible? Try free notification bars plugin. As all of the plugins I have presented in this post this one is also simple and easy to use and can sky-rocket your affiliate link clicks or other intentions you have. As seen on my site this notification bars are visible and not disturbing for your website visitors. This plugin also allow you to change notification bar style, select button and more visibility options you can use for your own needs. Do you have problems with visitors not liking, +1s or tweet about your most valued content? Or maybe you can offer some valued resources that you do not want to share with anyone without getting something back? Then try one of the best plugin for locking you content that is available for free. You will see a massive boost in likes, tweets or +1s and receive more visitors from social networks like Facebook. The best that this plugin can offer is also that better social presence is always good for ranking. If you need more options to choose from you can also buy the premium version of this plugin which offers some really sweet graphical styles that anyone will like. Another simple and easy free wordpress plugin to secure your website from malicious traffic. Just install it and forget about it, most of the hacking software use multiple tries to enter your wordpress dashboard and this plugin will prevent and limit multiple login attempts. I hope you have discovered some new wordpress plugins that will help you in the future. But you can also help others! 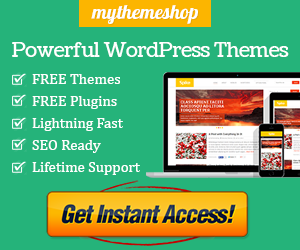 Do you use any awesome and free wordpress plugin? Then please comment and share some of them with me. Really all these are must use plugin for a wordpress blog and it will boost a site in all the ways. Thanks for sharing.